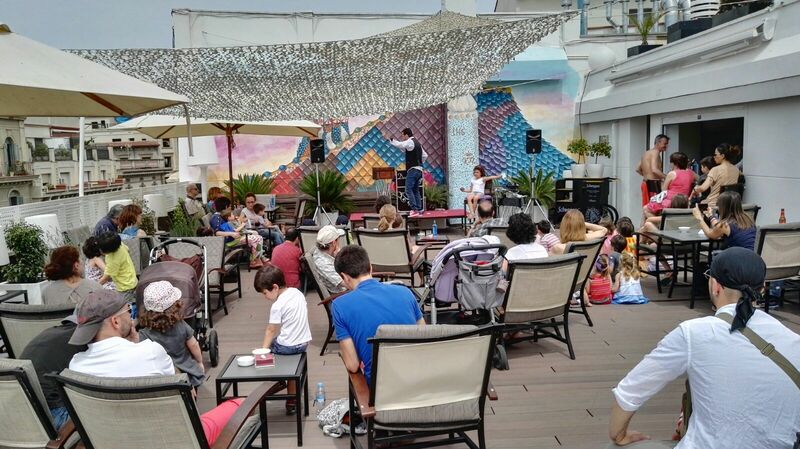 Live music, cooking workshops, activities for kids and families, food tastings... 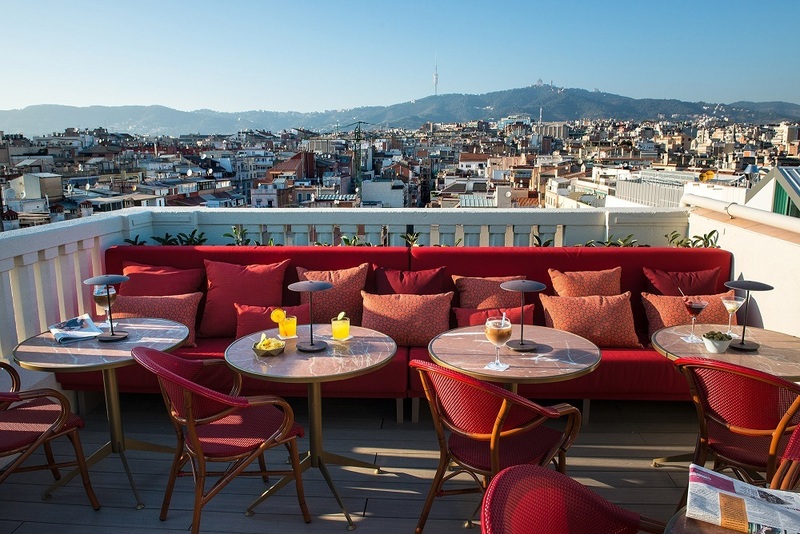 This and so much more is what you'll find from June 2 to 11 as part of the Barcelona Hotel Rooftop Terrace Week. 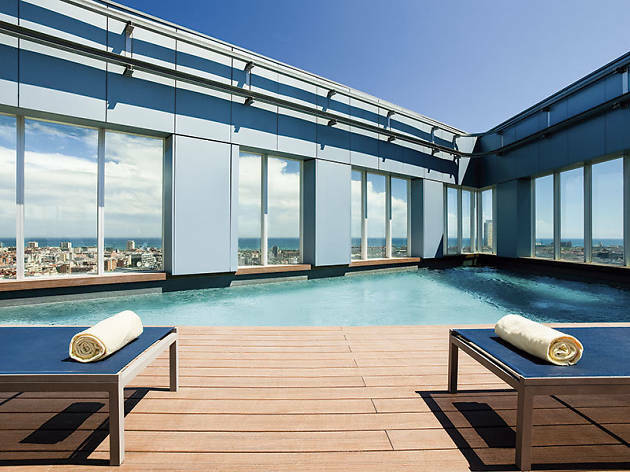 There will be more than 250 things to do over the course of the 10 days, but to help you keep from becoming too overwhelmed, we've chosen 11 of our favourites that you won't want to miss. And they're all completely free! 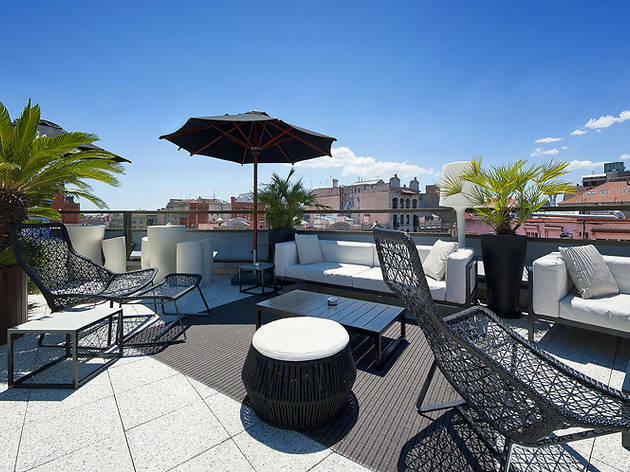 The Vedruna Palace is a late 19th-century building that was remodelled in 1922 to become what it still is today: a luxury hotel. 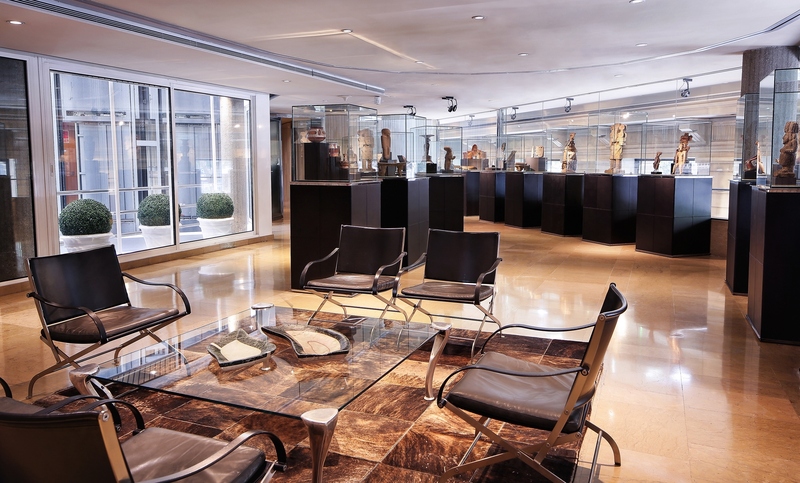 The Claris is also known for the artworks it houses, mainly in the pre-Columbian Exhibition Room on the first floor. 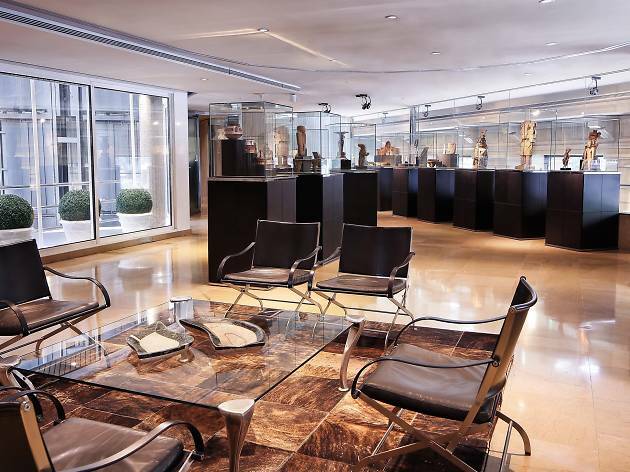 There you'll find pieces from the Mayan, Chimú, Nayarit and Quimbaya cultures that have very high historical and artistic value. 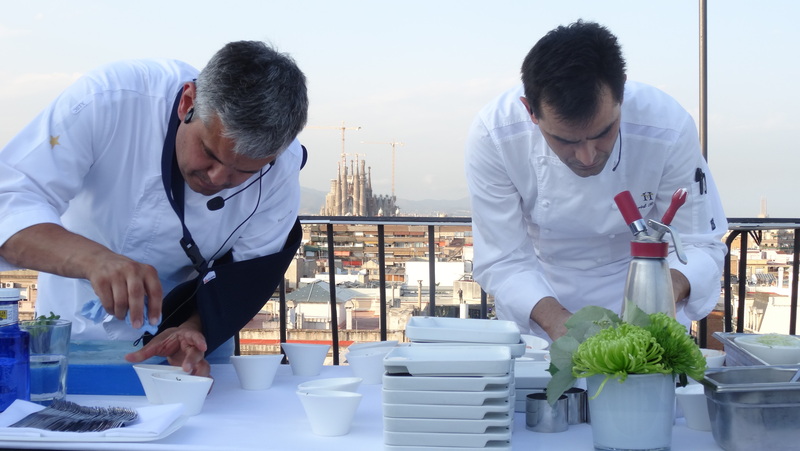 Gazpacho, tartare and rice dishes are the three main stars of this year's cooking demonstration, one per session, and the Hotel DO Plaça Reial invites you to get to know recipes from its chef, Xavier Riera. You can catch the show on June 2, 6 and 8 at 7pm. 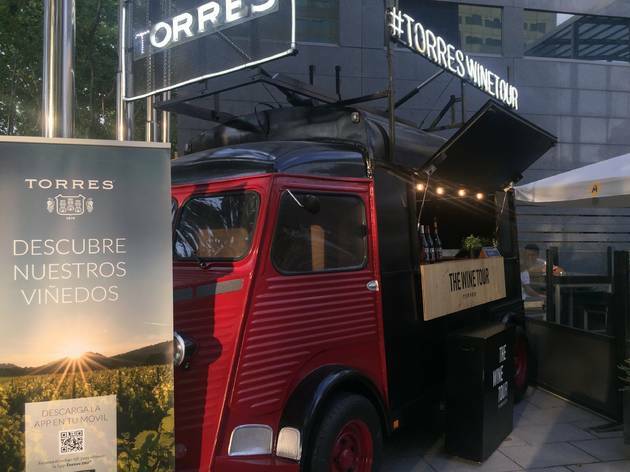 The Hilton Barcelona invites you to get into wine culture. Don't miss this tasting of the best wines from Torres, the biggest and most international winery out of the Penedés wine region. 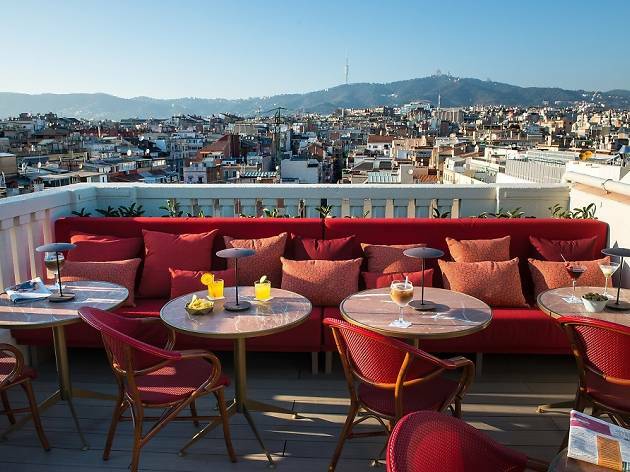 If you're also curious about checking out one of the many establishments in the world's most famous hotel chain, now's your chance. 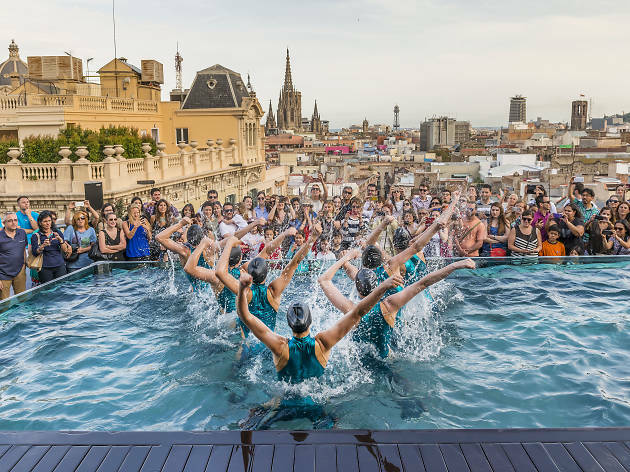 It's become something of a tradition during the Hotel Rooftop Week to see an incredible synchronized swimming show starring the championship Junior Spain team of the Kallipolis Synchronized Swimming Club, trained by Anna Tarrés. 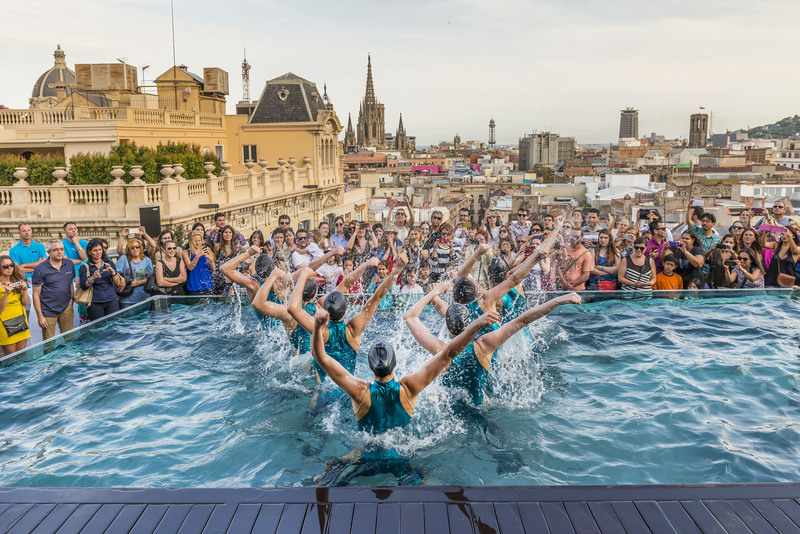 You have two chances to catch them at Ohla Barcelona on June 9: either 6.30pm or 8.30pm. 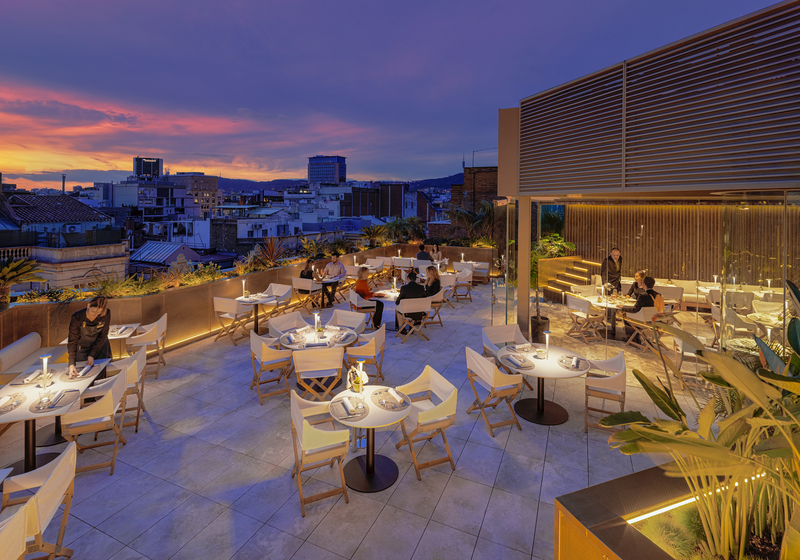 Every year in the warmer months, the city fills up with outdoor cinemas, but there's something special about this session at the Vincci Mae. 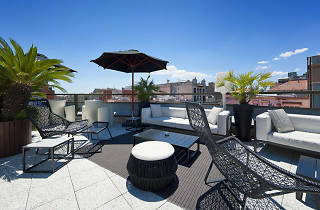 The hotel itself is in a building constructed in 1945 and inspired by 1930s American actress and screenwriter Mae West. As you might imagine, this film series is dedicated to her movies, screening on June 3, 7 and 10, at 9.45pm each night. 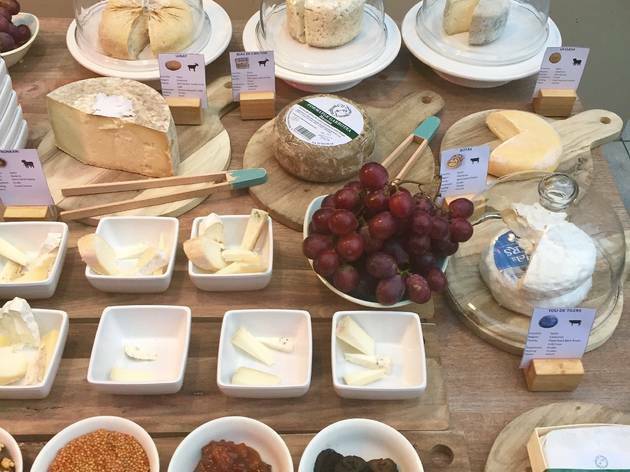 The pairing of wines and cheeses is one of the most exquisite combinations there is. 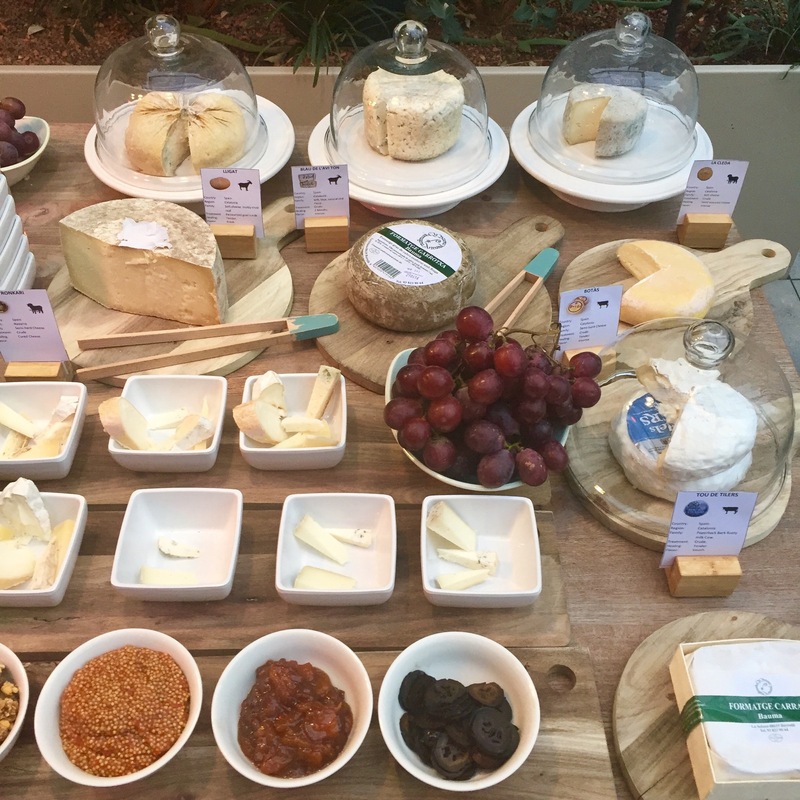 The folks at the Alexandra Barcelona: A DoubleTree by Hilton know there's truth to that, and that's why they are offering this chance to take part in a wine and cheese tasting on their cosy terrace. Mark your calendars for June 6 and 7 at 6.30pm, and Sunday the 11th at 12.30pm. 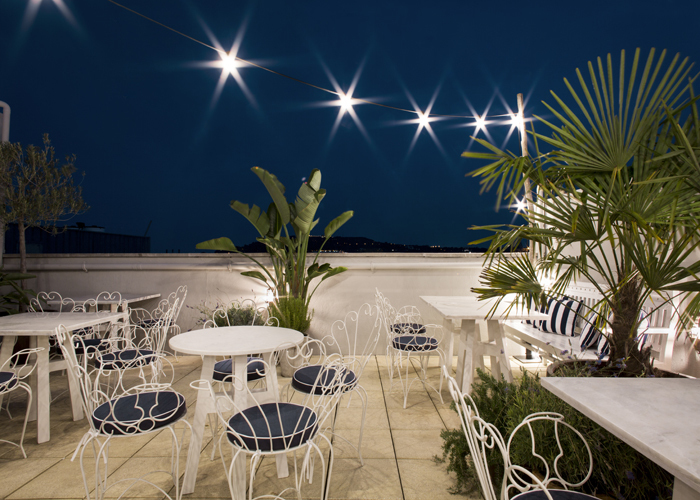 On June 7 from 7pm to 8pm the rooftop terrace at the Hotel Midmost turns into a barber shop. The Barber Shop is a chain of salons and now also an academy specialising in men's hair care, with a focus on beard care. Their experienced professionals are putting on a workshop for anyone interested in the subject. You do have to book your spot in advance. 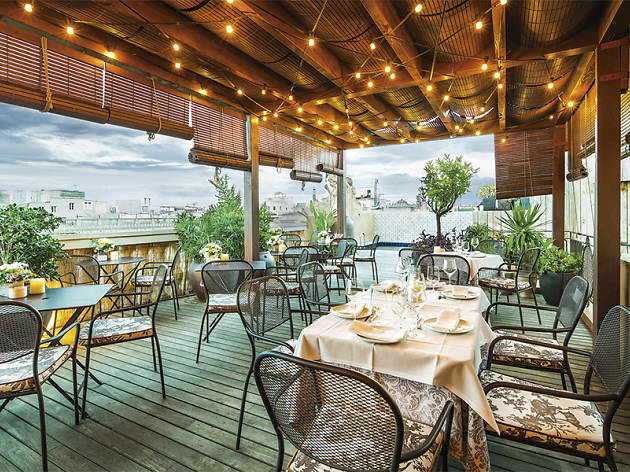 Nandu Jubany is one of the best chefs in the country and has recently been awarded a Michelin star. 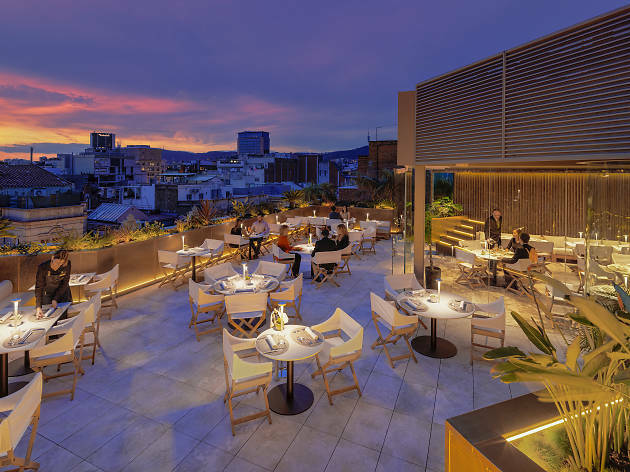 Along with David Romero, the head chef at the Majestic Hotel & Spa, the two will give a cooking demonstration explaining how some of the dishes are made that the hotel restaurant serves, as well as some tips of haute cuisine. You can catch the show on Monday June 5 at 7pm. 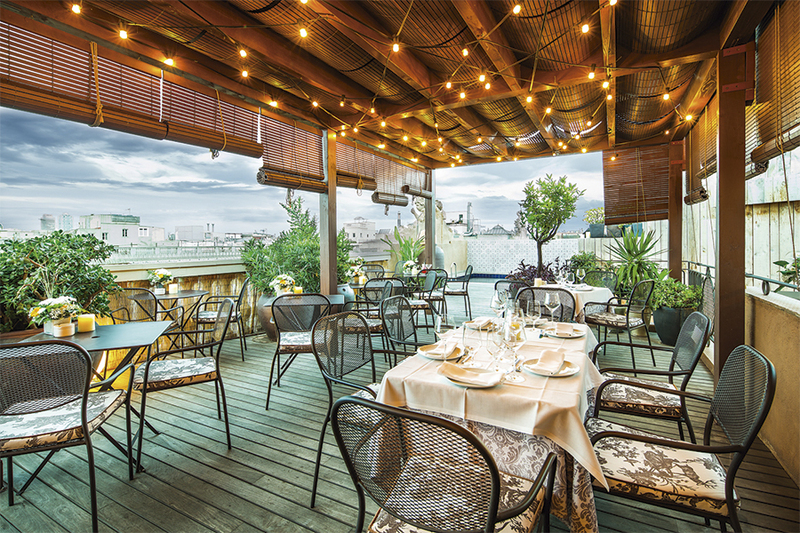 Book your spot in advance by sending an email to rrpp@hotelmajestic.es. Your astrology chart is a graphic representation of the position of the planets and stars at the moment you were born. It's used by astrologers as a base to make interpretations of your personality and predictions about your future. 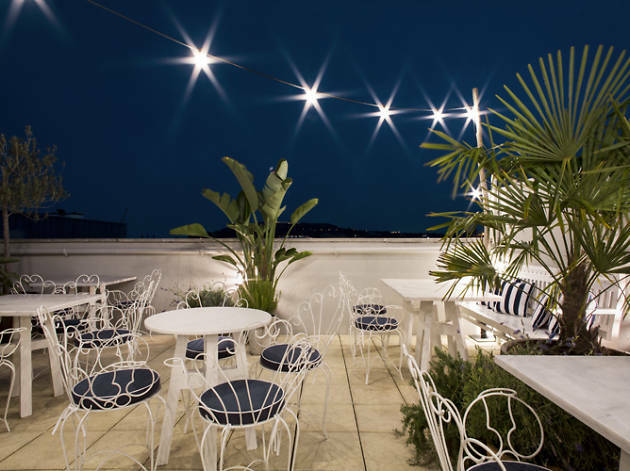 If you want to have your stars charted, hed to The One Barcelona on June 9 from 7pm to 10pm. Be sure to get there early as space is limited. 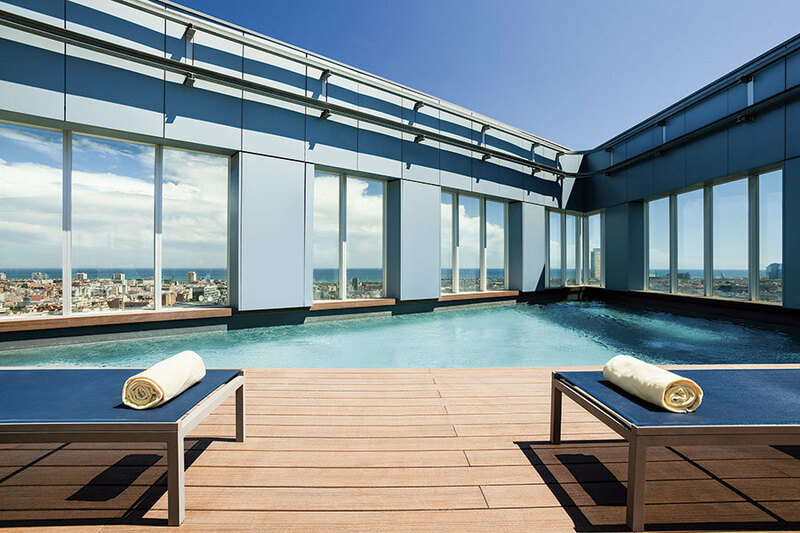 The Novotel Barcelona City offers an activity full of rhythm. On Friday June 2 from 7pm to 11pm you can take part in a master class of Latin dancing. The class is free, but the size is limited, so you do have to book a spot in advance by calling 93 326 24 95. What are you waiting for? There's nothing more romantic than dancing salsa in the sunset. 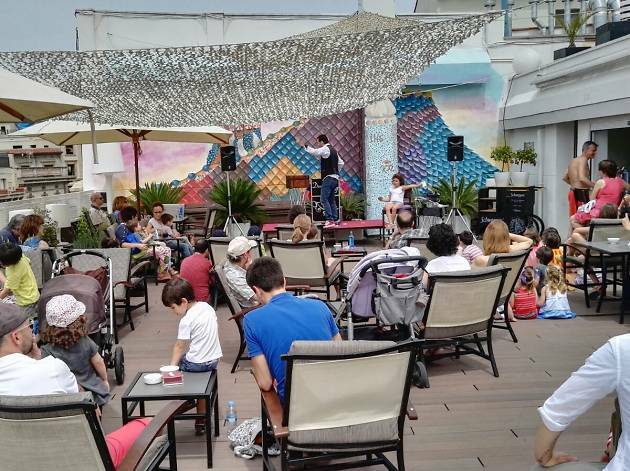 With the little ones in mind, the NH Collection Pódium hotel has organized a real summer event. On Saturday June 10, the whole family has a play date, because from noon to 4pm they're putting on a big foam party. And not just that, but there will also be an aquatic costume contest, so get your most original outfits ready!